The New York Times says, "It's a hot ticket!" 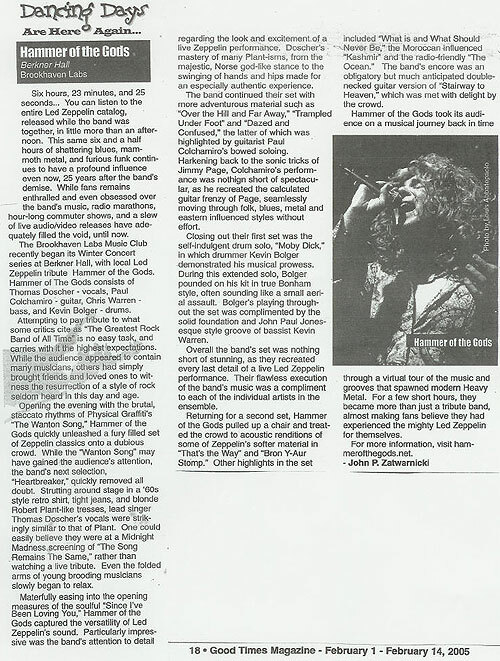 Considered to be "the ultimate Led Zeppelin experience." 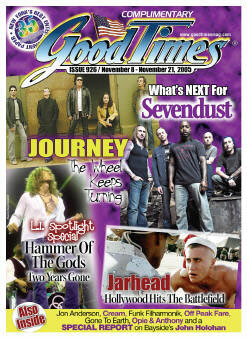 See and hear the music, whilst discovering the story behind rocks greatest band. 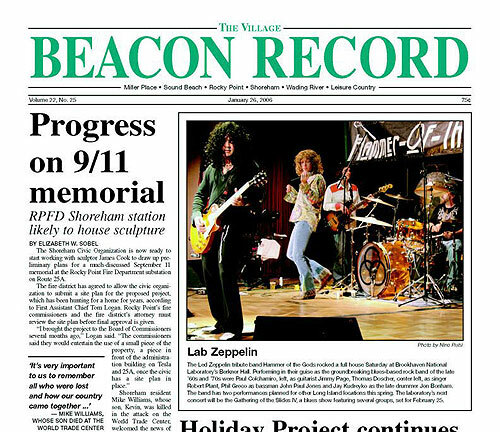 This two hour multi-media retrospective, features selections from every Led Zeppelin album! 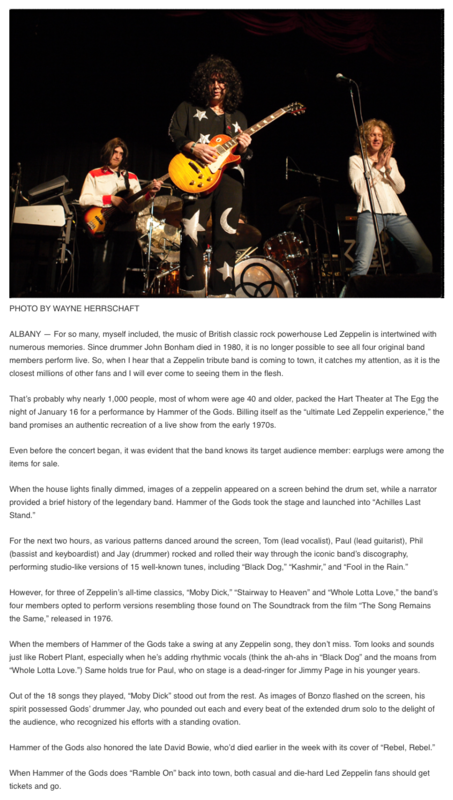 Featuring hauntingly-exact song renditions performed by highly-talented musicians, Hammer of the Gods, effortlessly, fulfills its promise and brings a truly unique and awe-inspiring Led Zeppelin experience to its audience. 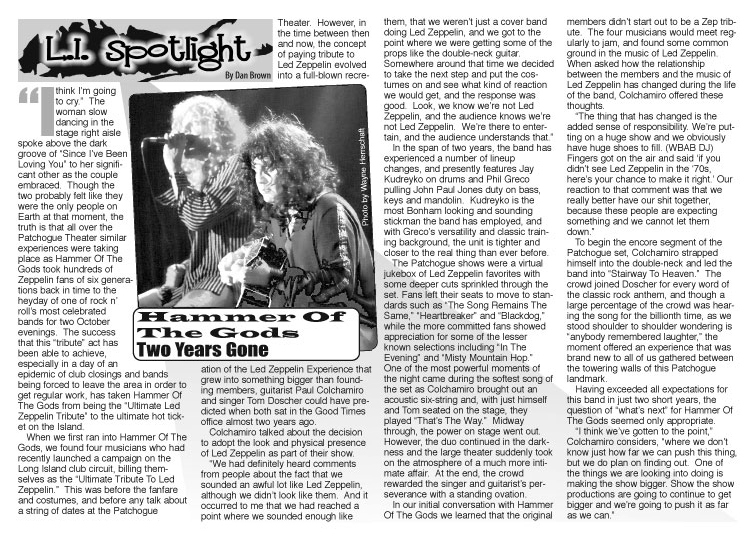 The band's own dedication to, and love for, Led Zeppelin shine through with every well-thought-out detail of every show. 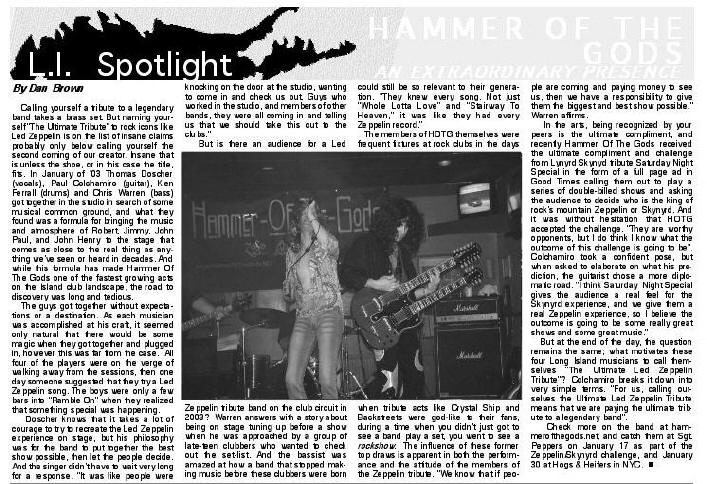 Hammer of the Gods boasts “a show for all ages!” Enthusiastic fans range in age from pre-teens and teens, experiencing a new love for Led Zeppelin and their first live concert, to veteran fans who have adored Led Zeppelin for 40 years. Crowd reactions are nothing less than stellar at every show! 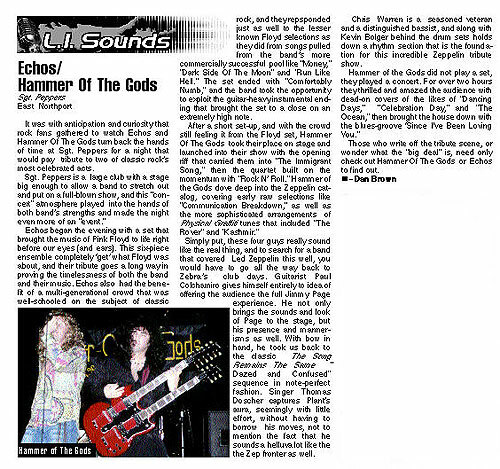 Fans of all ages escape to another time and place as they are treated to a great rock and roll show, and for this, they love to show their support! 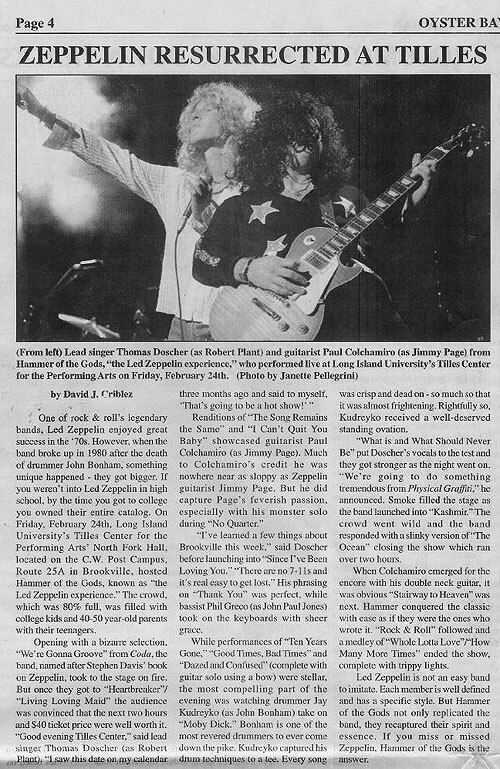 They come back again and again -- just to relive the amazing Hammer of the God's "Led Zeppelin experience."